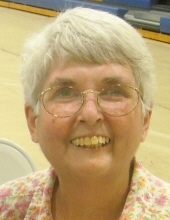 Jean DeLine, 70, of Mitchell, SD, and formerly of Aberdeen, SD, died Friday, March 29, at her home in Mitchell, SD. Jean McQuillen was born on March 10, 1949, to Cliff and Gail (Klug) McQuillen in Aberdeen. She grew up and attended school there, graduating from Central High School in 1967. After graduating, Jean continued her education at the Aberdeen School of Commerce. She moved to Minnesota and was united in marriage to William ‘Bill’ DeLine on October 23, 1971, in Golden Valley, MN. They moved to Aberdeen in 1974. Jean worked at various businesses as a secretary and bookkeeper and then as a daycare provider from 1981 to 1994. Jean then worked for Midstates Printing for several years. She decided to retire early to help care for her family members. Bill passed away on July 26, 2011. Jean continued to live in Aberdeen until January of 2017, when she moved to Mitchell to be close to her family. Jean devoted hundreds of hours to the PTA at Henry Neill Elementary School. Jean enjoyed embroidery and made many beautiful pieces. She was always generous in her care for others. Jean loved spending time with her granddaughters. Grateful for having shared Jean’s life are her son: Will (Donna) DeLine, and her beautiful granddaughters: Hannah, Elly, and Lerae, all of Mitchell, SD; her siblings: Jim (Maggie) McQuillen, Tracy, CA, Dave (Nancy) McQuillen, Aberdeen, SD, Gord McQuillen (friend, Joanne), Broomfield, CO, Susan (Neville) Bambrick, Toowoomba Australia, Bill (Ev) McQuillen, Aberdeen, SD, and Dan (Danielle) McQuillen of Aberdeen, SD and many nieces and nephews. Preceding Jean in death are her husband: Bill DeLine; her parents: Cliff and Gail McQuillen; and two sisters: Marie Peterson and Lisa Rempher.